Thank you for visiting our website. We’re pleased to have the opportunity to show you the products and services we have come to specialize in over the past 48 years. Additionally, we invite you to spend some time in our gallery of pictures. There you’ll find a selection of actual installations done by our company for our many valued customers. All of whom have chosen to put three generations of experience, craftsmanship and the customer service of a family business behind their own unique projects. Beckett Glass & Aluminum, LLC a family owned & operated business. Centrally located at 41 So State St. in Concord, NH. 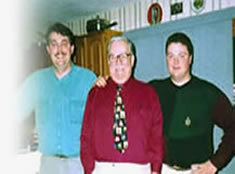 Owners, Scott & Stu Beckett represent the family’s third generation in the glass & glazing industry. Growing up, and continuing to work in this unique and specialized trade allows us to follow in the footsteps of our father, company founder, Neil S. Beckett. 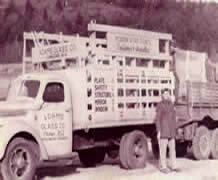 As well as our grandfather, Kenneth Clarke, longtime owner of Adams Glass. Both of whom were well respected in the local business community, and considered pioneers in the glass industry. Beckett Glass & Aluminum was established in 1969, and we enjoy a proud history of providing quality glass and aluminum products and service to our customers throughout New Hampshire.